Being a member at the time I offered to provide a new WordPress website. 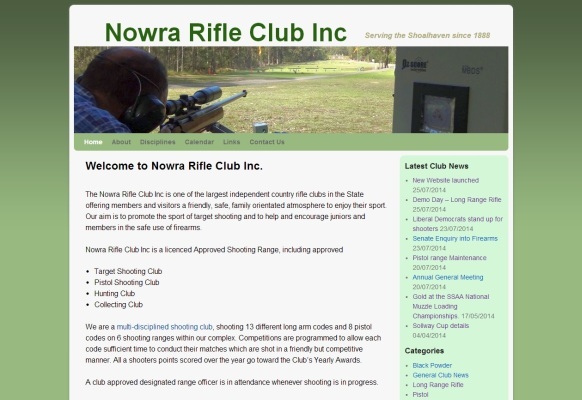 The Rifle Club website was finished in July 2014 and has totally modernised the clubs previously built old website that was showing many signs of being too tired. The site now provides a modern fresh view and a means for the club to communicate to all members via subscription to newsletters & updates. Various club officers trained in the use of WordPress now have the ability to provide the membership with timely communication. The club also enjoyed cost savings in changing website and hosting companies.